I was lucky to spend a long weekend in Venice to celebrate my partner’s birthday in October. With just three days to explore, we had a lot to fit in as we wanted to see the modern architecture as well as the classic greats. 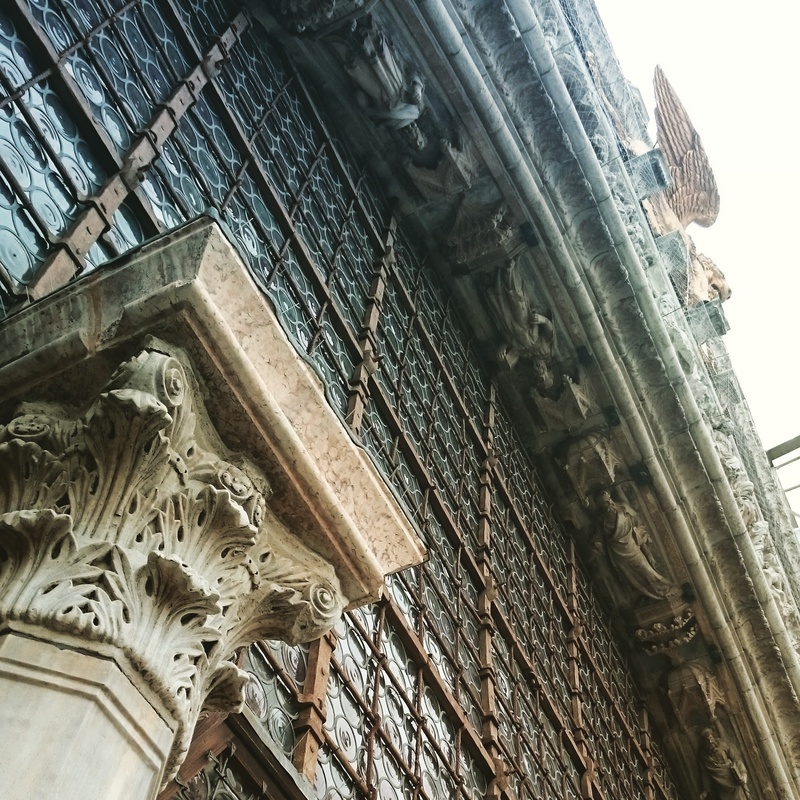 Highlights of the classics are the Doges Palace which was once the heart of the political life and public administration of the Venetian Republic as it housed the ruler’s apartments and the seat of his government. At a later date parts of it also served as a prison and the cells are still there. They form part of the tour which also took us through a succession of richly ornamental Renaissance style apartments and institutional chambers. 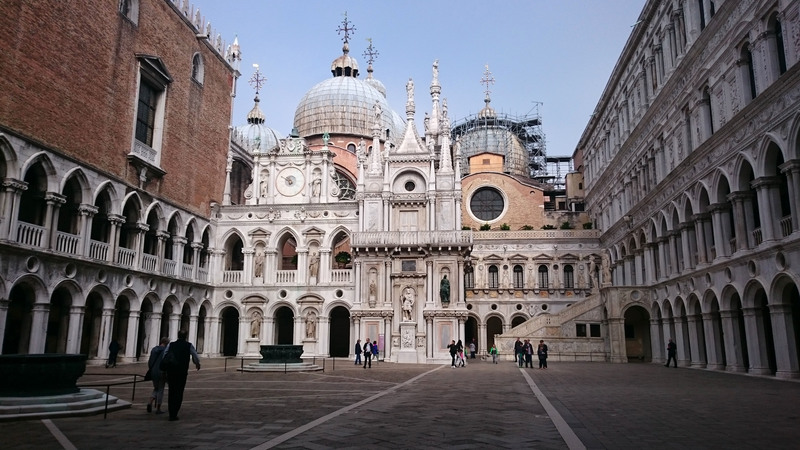 A visit to St Mark’s Basillica is a must, with its interior walls and domes completely covered in stunning gold ground mosaics, explaining its nickname, the Church of Gold. Away from the crowds of tourists in St Mark’s Square it was easy to understand how the rich lived in 18th Century Venetian Society after visiting Ca’ Rezzonico Musuem. 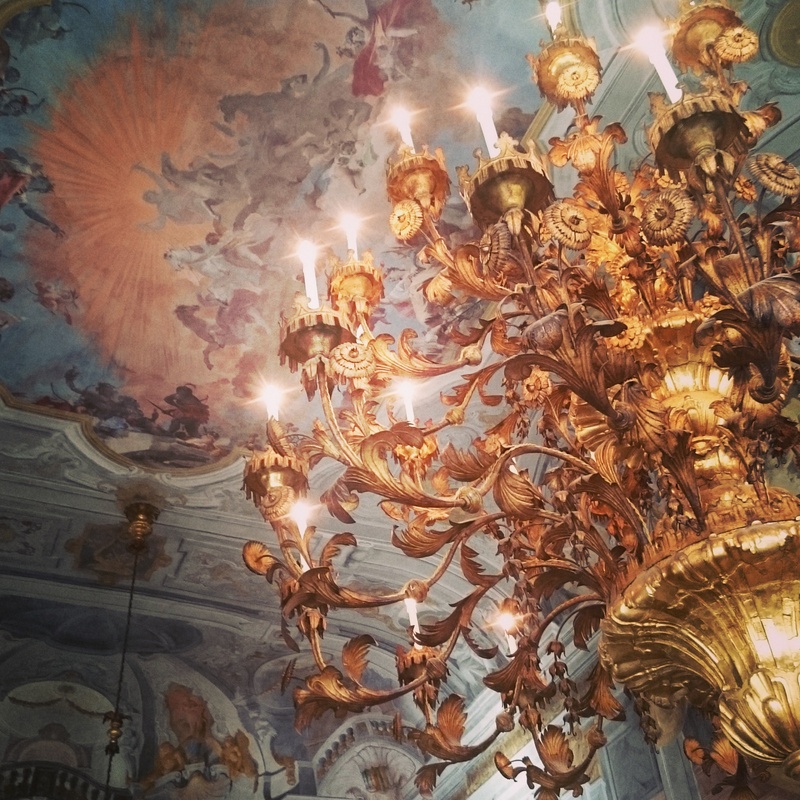 Housed in a Palazzo overlooking the Grand Canal it’s the former home of the Rezzonico family and the beautiful frescoed ceilings have been well preserved and there is a fantastic collection of paintings, antiques and glass works. 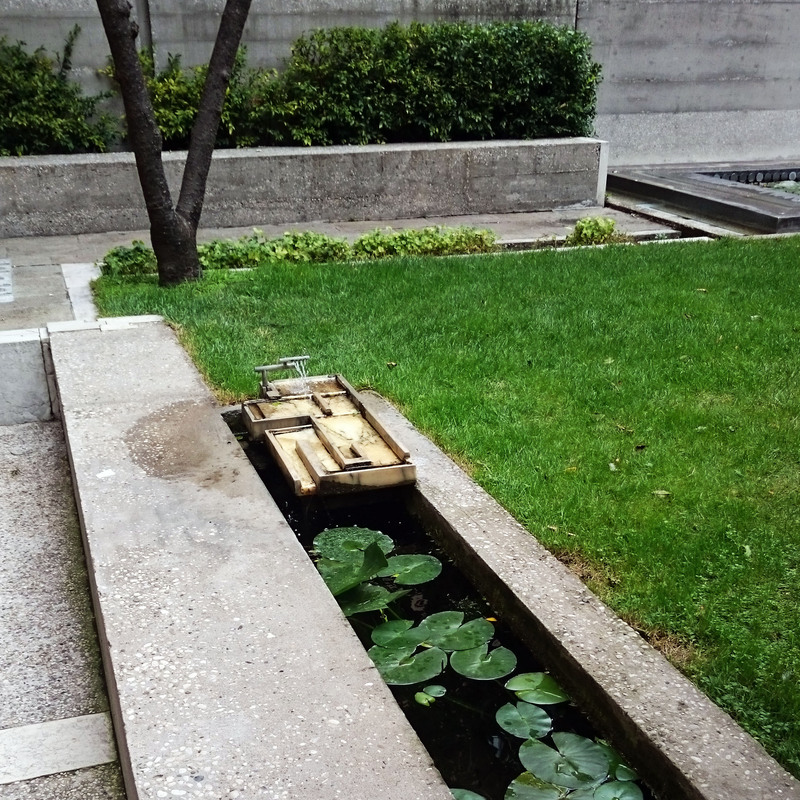 Modern intervention is rare in Venice as there’s little room for new buildings, so modern architecture comes mainly in the form of renovations. 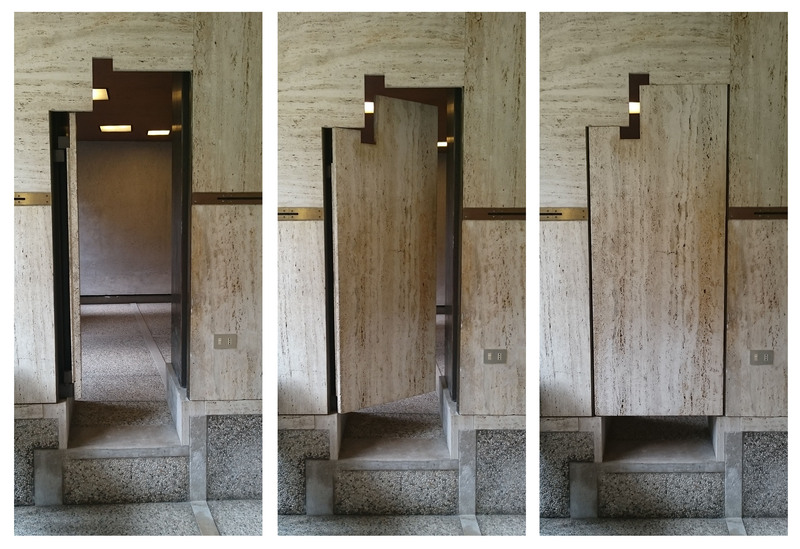 The most impressive of which is the renovation of the ground floor and courtyard of the Querini Stmapalia Foundation by Carlo Scarpa completed in 1963. The space is a work of art in itself and fits perfectly in its unique location. 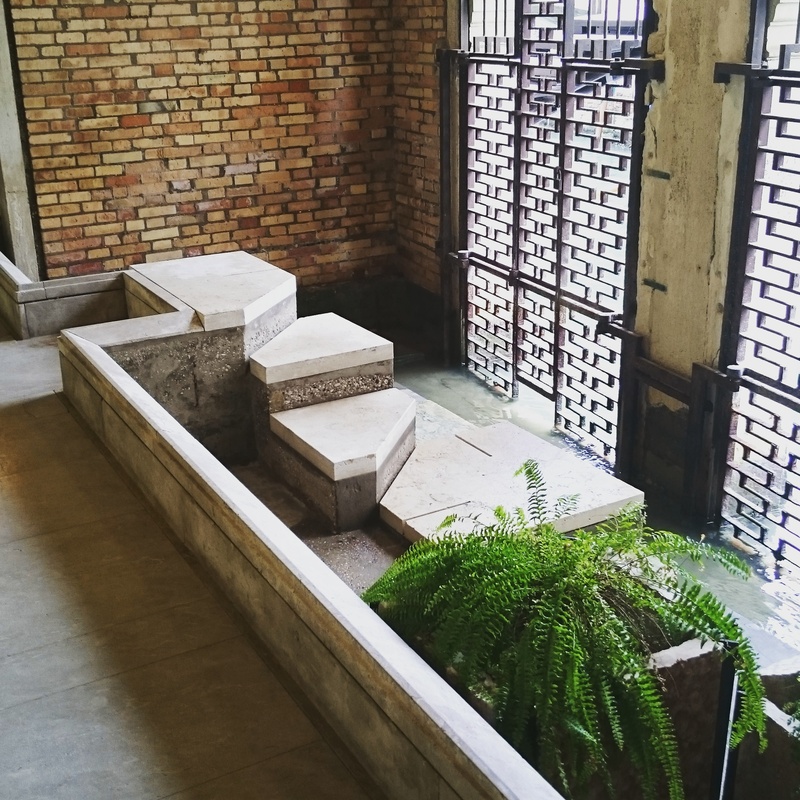 Water which floods in from the canal is channeled around the space, it mixes the old and new through the use of materials to produce some intriguing details such as the doorway shown below. The bridge across the Grand Canal, the Ponte della Constitutione designed by Santiago Calatrava opened in 2008 to great protest from the Venetians. It was something I was really looking forward to seeing. 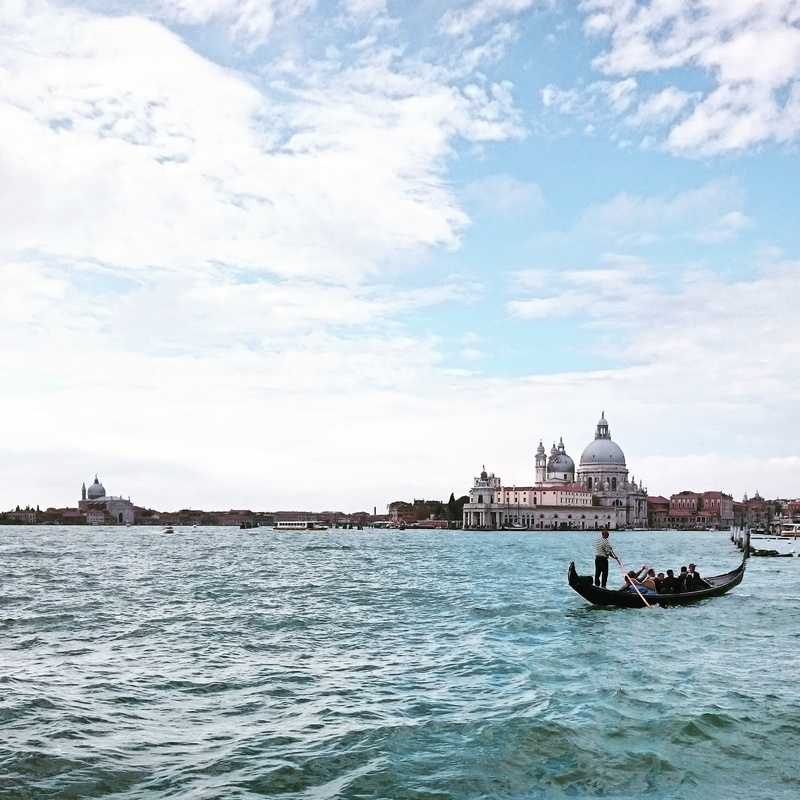 I eventually crossed it long after arrival rather than it being the intended gateway into Venice from the train station (we got a water bus from the airport and arrived at St Marks Square instead) and I felt it was out of place with what I had already experienced. I think the best way to experience of Venice is getting lost in the backstreets away from the tourist crowds of St Marks Square. 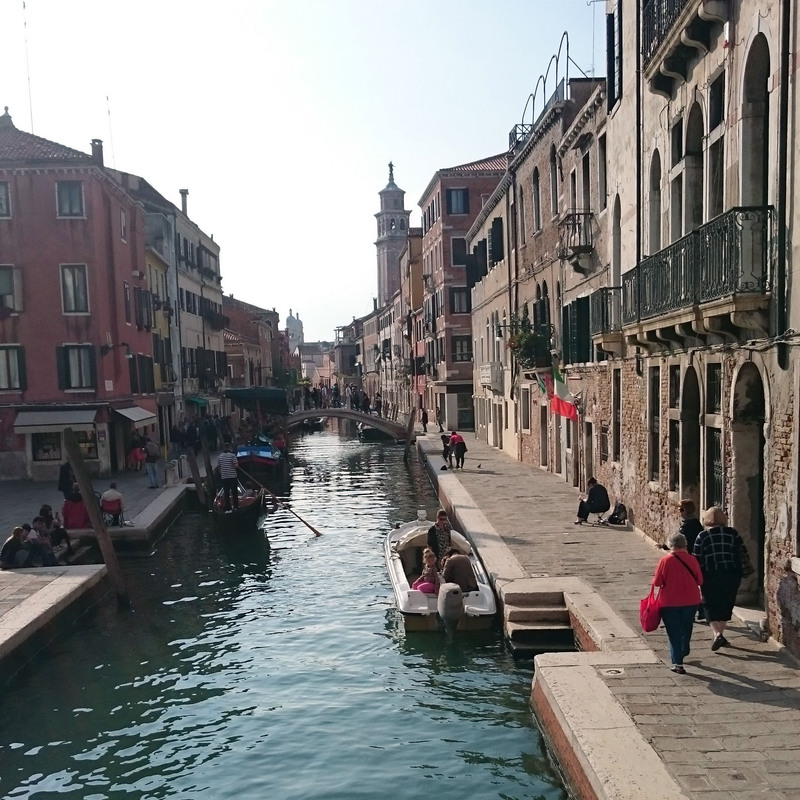 We particularly enjoyed exploring the streets and churches of the Canareggio Area and the Jewish Ghetto, as well as Dorsudoro and the Rialto fish and vegetable market as well as riding the Grand Canal on the Vaporetto. We really enjoyed our short break to this stunning Italian city and came back with a few ideas for our new home in Canterbury which we are currently renovating!